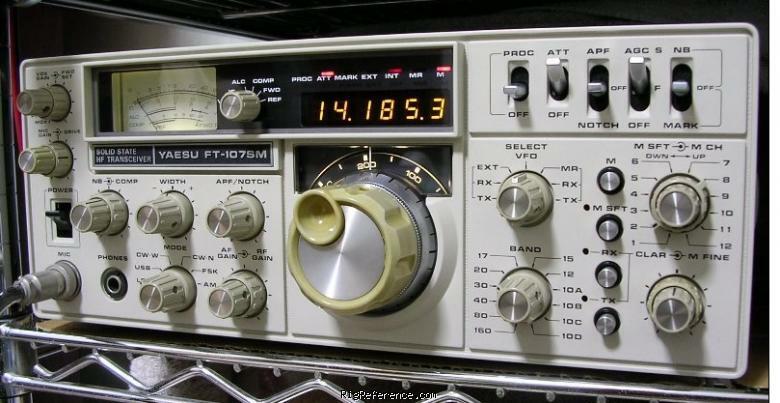 The Yaesu FT-107M is a solid-state HF transceiver covering 160 to 10 meters in SSB, CW, AM and FSK modes. There is also WWV/JJY receive at 5 MHz. Power input is 240 watts on SSB/CW and 80 watts on AM/FSK. It features a digital display and an analog subdial. The supplied SSB filter is 2.4 kHz. The FT-107M requires 13.8 V DC at 20 amps. This radio does not have general coverage receive. Estimating the value of a rig can be challenging. We collect prices paid by real hams over the years to help you estimate the current value of the Yaesu FT-107. Just bought or sold this model? Let us know what you traded it for and help other ham operators!